FinTech has become one of the hottest booms in the startup scene since 2016. According to Statista, in 2017, FinTech total transaction value is predicted to reach US$ 3,300,958 million. With the FinTech sector keeps developing globally, The Global FinTech Hubs Federation (GFHF) is bringing together FinTech hubs to provide a neutral, cross- border platform to encourage greater collaboration, and engagement. Since September 2016, GFHF added 24 new Hubs, bringing the total number profiled to 44. 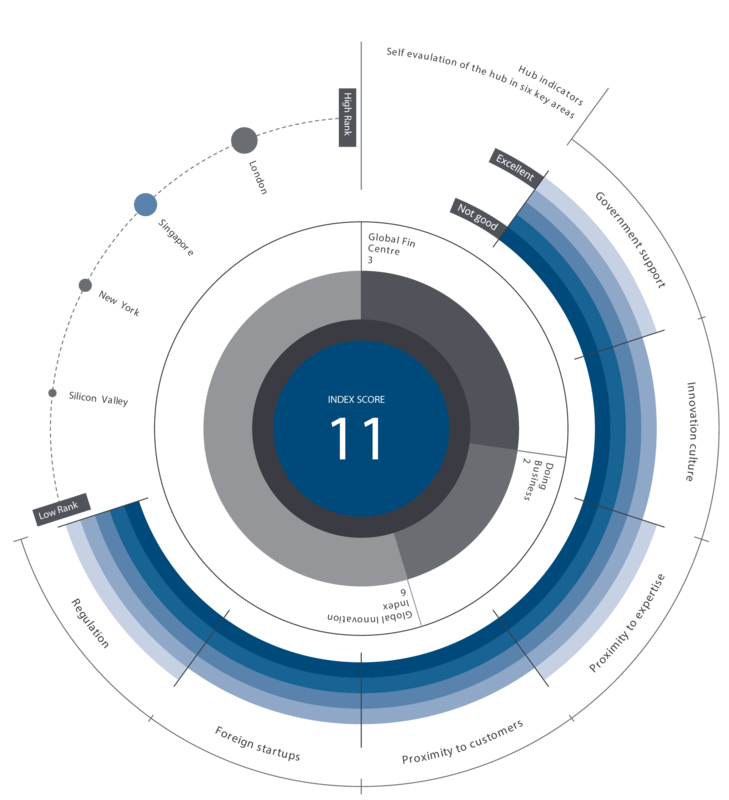 Deloitte has recently published ‘The Connecting Global FinTech: Interim Hub Review 2017’, an overview of FinTech activity in the world for 2017. 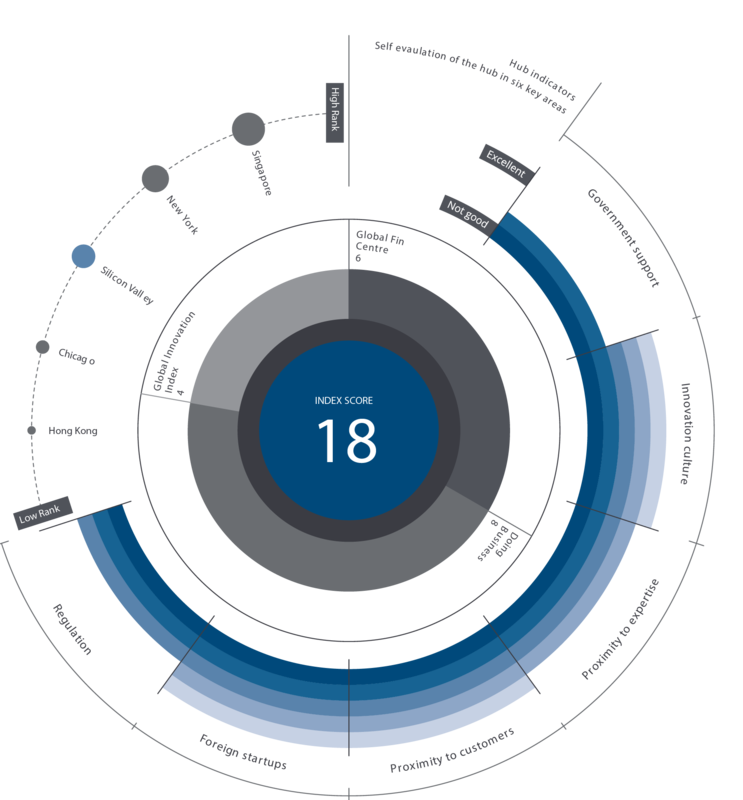 Below is an outline of FinTech Hubs’ index performance score across the globe (Lower score indicates that Hub is more conducive for FinTech growth). London is one of the greatest connected global cities in the world with the finance sector of New York and technology sector of Silicon Valley. Even though London is considered a city with high living cost, office space, and labor, there are still a lot of FinTech related areas that can be explored such as capital market, foreign exchange and wealth management. 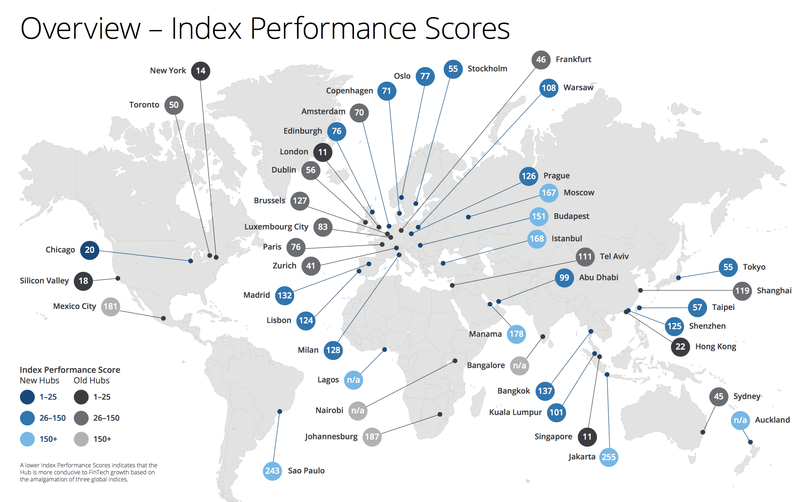 Overall, London index score has dropped by one point compare to last year, even though London still manages to hold its position as the best hub in the world. The supports given by Singapore Government are very sturdy considering a whopping US$225 million is committed to the development of FinTech projects. Despite their risk-averse culture and underdeveloped startup ecosystem, Singapore still holds its position as the second-best hub in the world after London with the same index score (11). In 2016, Singapore successfully hosted Fintech Festival opening innovative ideas in some areas such as Investment Management, Cyber Security, and Compliance. New York is, without a doubt, the leading global financial hub with the largest and most established financial services institutions. New York stands firm at the third position, dropping one point compared to last year index performance score ( 13 in 2016). It’s predicted that there will be a lot of collaborative approach from FinTech by partnering with financial institutions. Silicon Valley is famous for their technology innovations. 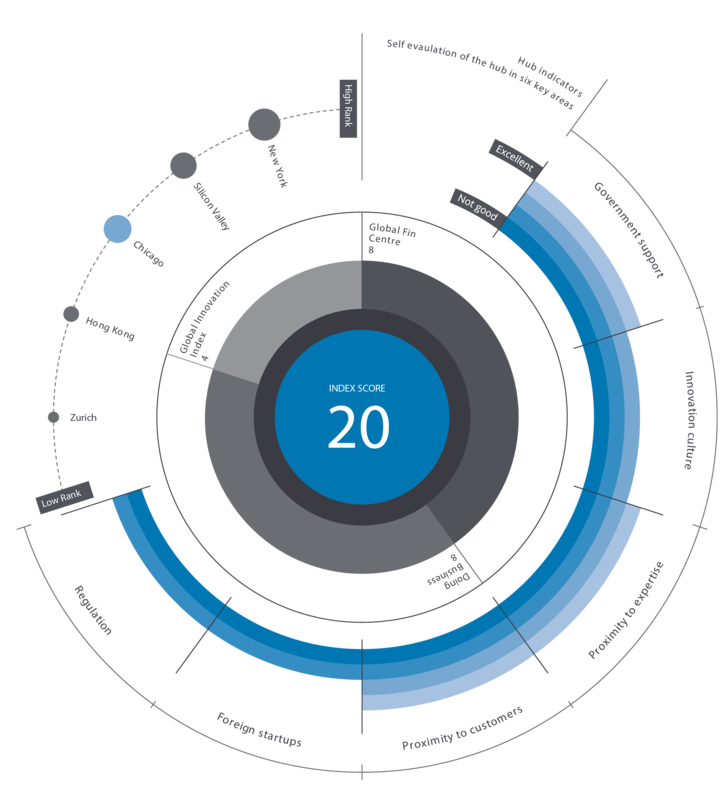 There are a lot of areas open to innovation such as investment management, retail banking as well as fraud detection. Google, Apple, Facebook, and Amazon is expected to increase activity in FinTech area even though Silicon Valley has a high cost of living, office space and talent. 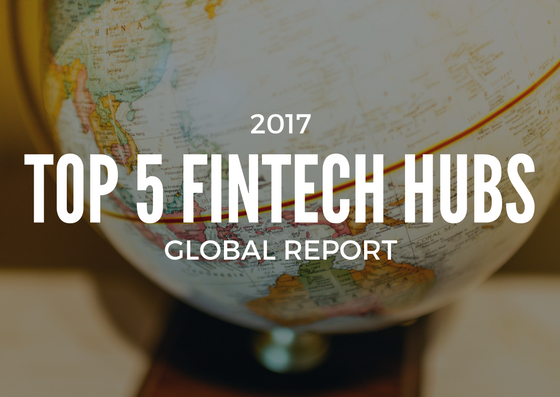 Even though Chicago is one of the 24 new hubs in 2017, Chicago has taken the fifth spot as FinTech Best Hub, surpassing Hong Kong as the previous holder. 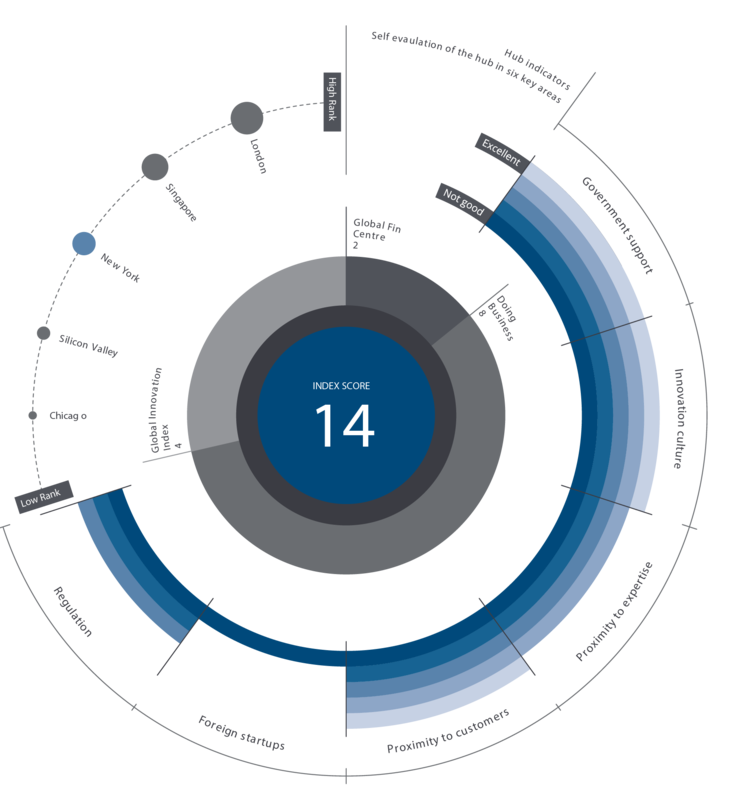 Chicago is considered as the center of FinTech activity in the MidWest. In 2017, Chicago is planning to launch Currency, a FinTech center for excellence and development of innovation-friendly regulatory space. 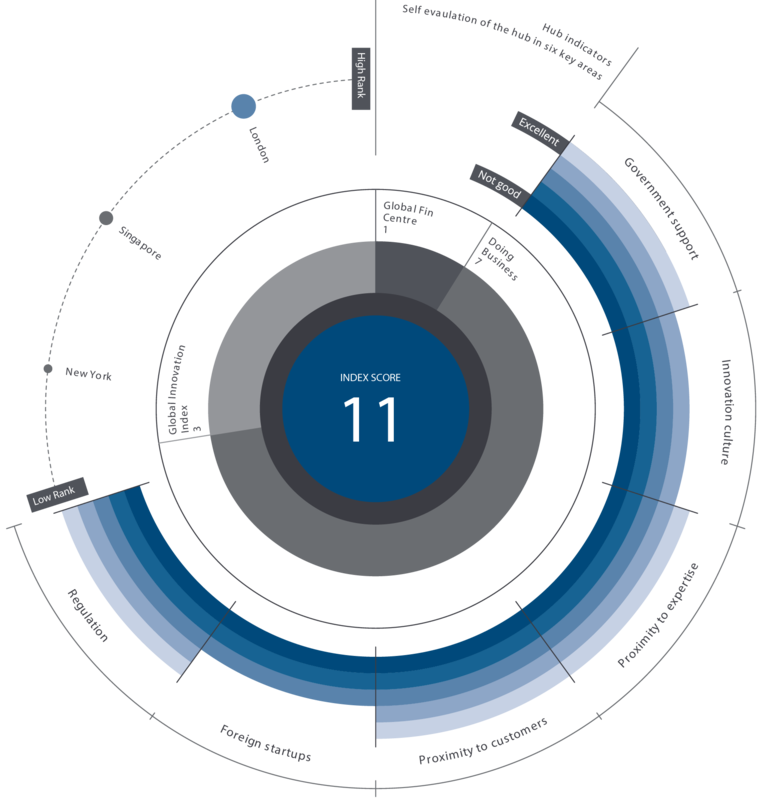 Sydney is the only city outside of US, Europe, and Asia continents that make it to the top 10 hubs (Rank 8). Australia is the gateway ecosystem into South Asia with many Asian Global Banks headquarters setting up in Sydney. 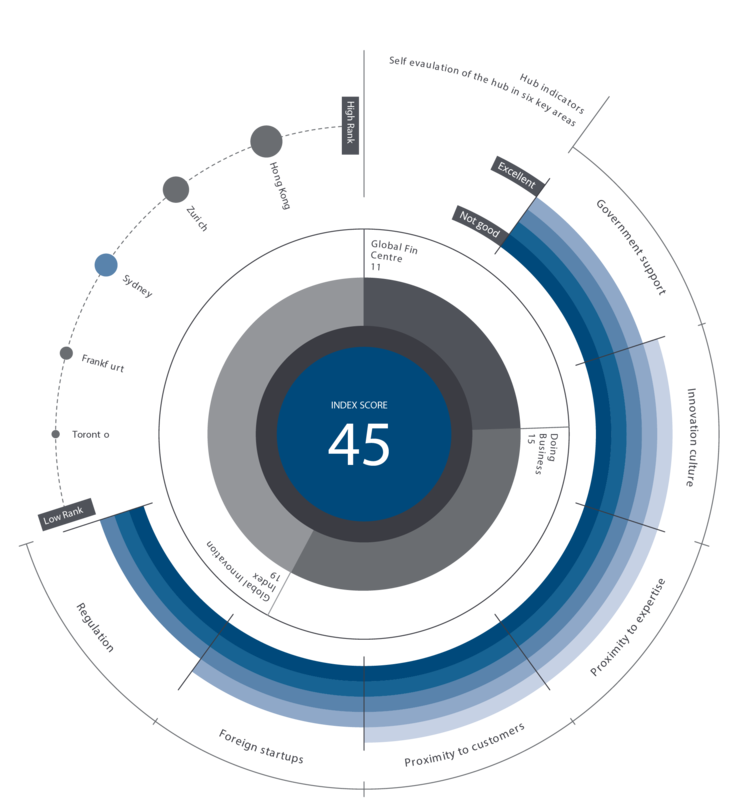 With an index score of 45, Sydney excels in areas such as proximity to customers, proximity to expertise and Innovation culture.